On March 29th, 2014, I was booked on a conceptually enticing extreme metal show in San Antonio, TX. It was held in honor of Christophe Szpajdel, the infamous “Lord of the Logos” who designed the logos for a good amount of the most relevant black metal bands over the last few decades. 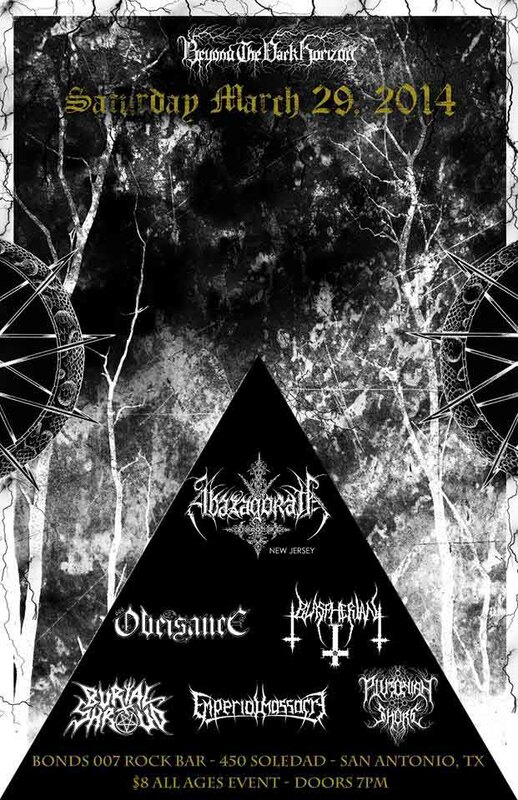 Headlined by Abazagorath, every band on the bill had a Christophe-drawn logo. Christophe himself was flown across the Atlantic to be present to draw logos for concertgoers on the spot. But thanks to the abomination that is Facebook, Christophe never made it out of the airport.